International flags, major cultural institutions and public art works line Benjamin Franklin Parkway, the grand boulevard bisecting Logan Square. Often referred to as “Philadelphia’s Champs-Elysees”, the Parkway offers magnificent, wide-screen vistas from grand City Hall to the Philadelphia Museum of Art’s famous “Rocky” steps. At the center of this gorgeous, quintessentially Philadelphia scene lies Logan Circle, one of Philadelphia’s original five city parks with the elegant Swann Memorial Fountain as its regal showpiece. 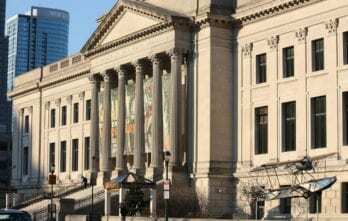 A dream for arts and culture enthusiasts, Logan Square has an important museum collection for every day of the week. The brand-new Barnes Foundation, the Rodin Museum—home to the largest Rodin collection outside of Paris—and the Philadelphia Museum of Art offer unparalleled riches in Impressionist and early modern art, while the Academy of Sciences and Franklin Institute nurture the left brain with cutting-edge planetarium shows, dinosaur exhibits, and more. Lovers of literature will also enjoy access to the sprawling Parkway Central Library. Opened in 1927, the grandly columned Beaux Arts structure is home to more than 7 million items and many special collections and regularly hosts talks by major writers and public figures. With abundant row houses, town homes, new condos and residential towers overlooking the Parkway, Logan Square offers attractive housing options for every lifestyle. A prime asset is the neighborhood’s central location, as Center City is on your doorstep here, along with easy highway and public transit access when venturing further afield. 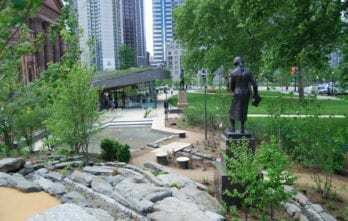 Of course with the abundant cultural riches, frequent parades and street festivals, and surrounding parks—including LOVE Park, with its iconic Robert Indiana sculpture, and the bloom-rich Sister Cities Park opposite Logan Square—why would you ever leave?